Not a day goes by that we don’t receive a call or talk to someone who’s frustrated by the rental situation in SW Florida. Renter frustration mounting for several reasons. Rents are sky high in SW Florida. Many times, it’s less expensive to buy than to rent. When you add back potential appreciation along with principal reduction, many renters realize they’re just throwing good money down the drain. This past week was Uncle Sam day. Renters miss out on nice tax deductions too on interest, and this time of year it bothers them. The renter has no control over their home. Many times, the owner decides to raise the rent, move back in, allow a family member to move back in, or sell the home. This displaces the renter. It’s not a fun place to be in when you can’t plan where you’ll be living next year. Rental inventory is hard to find. Your best bet is to call the agent who has the inventory, but how do you do that? You can call an agent who has access to MLS. Here’s the problem. Many rentals are listed on MLS, but the compensation to an agent might be $50-$100. That’s hardly worth an agent’s time and gas running a prospective tenant around town looking for a rental. Add in the fact the tenant may not pass the landlord’s background check, credit report, or pet restrictions and you’ve got the potential for showing many more days. Agents have bills to pay too and simply can’t work for free, or less. These force renters to work with the listing agent of the rental. Scams are rampant in Florida. Many times, a tenant thinks they’re talking to the owner and they’re not. It could be a scam. If the rent seems like a great deal it might be a scam. If they tell you to just drive by and send money to hold the unit if you like it, it’s probably a scam. So what should a tenant do? First, working with an agent to rent a property is probably safest. If they are licensed and working for a broker there are some extra protections for you. Check out large apartment complexes. You may not like them, however there is little risk the owner will decide to sell next year. They may jack your rent, but at least you can stay where you are if stability is important to you. Check out your credit. 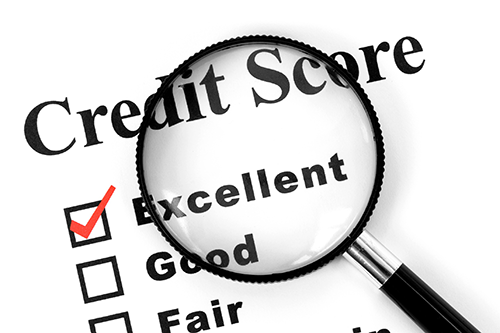 Good lenders can get you in touch with people who can help get derogatory credit off your report. Late payments on credit cards and past due medical bills hurt the most but they don’t have to. If you can get these cleaned off your report, you may be able to buy a house sooner than you think. It all starts with a little planning. We work with lenders who can help. Buyers are simply amazed what can be done for them and they’re so grateful when we get them into a home they can call home. They don’t have to worry about where they’ll be living next year. Statistics show people who own their own home end up with a lot more financial freedom than those who rent. Stop making your landlord rich. Call the Ellis Team at Keller Williams 239-489-4042. We’ll put you in touch with a lender that can either approve you or help you improve your credit. Feel free to search the MLS www.LeeCountyOnline.com You might find some homes that interest you. We received a call this past week from an older couple who’s being displaced. They want to find their forever rental. Unfortunately, nobody can guarantee that. We know they’re tired of moving and just want to rent one place. Let us help. Perhaps you can buy today. If not, get help working on that credit. Even if you never buy a home, better credit will lower the cost of borrowing on cars, credit cards, etc. There’s no reason not to look into it. April 4, 2017 marks a big day in the real estate industry and we hope brokers, agents, buyers, and sellers are up on the changes. 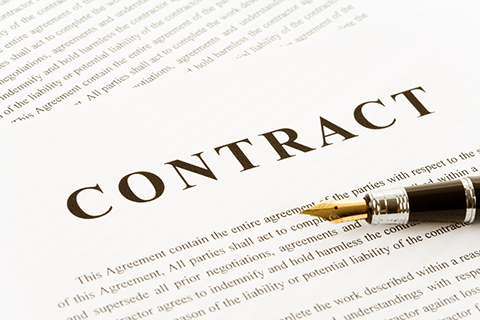 There are big changes to real estate sales contracts, notably the financing clause that will change the way contracts are negotiated and processed. In the past, most finance contingency contracts had a clause that said buyer had a certain number of days to obtain a loan commitment. Lenders rarely use the commitment word any more, so it was changed to loan approval. Something else changed as well. The buyer now has 30 days standard to obtain financing. If they do not obtain it, they should notify seller or seller’s agent in writing because seller can cancel the contract. If buyer fails to request an extension or terminate the contract, it is assumed they have loan approval and their escrow deposit could be in jeopardy. I am writing this article prior to the April 4th unveiling, so we haven’t seen the entire clause yet. There has been a flurry of activity on Realtor websites informing agents of the upcoming changes, so hopefully agents are aware. We are not attorneys and we are certainly not giving legal advice. Readers should be aware that there are big changes to real estate sales contracts in Florida and pay attention to timelines. The agent you choose to work with as a buyer or seller will become even more important than it has in the past. Not only will your agent need to be aware of these changes, they’ll also need to have systems and assistants to track and monitor timelines, and communicate with your lender. A buyer can put themselves in legal jeopardy by simply not adhering to deadlines or communicating in writing as to the progress of the loan. Hiring a full-time agent is more necessary now than ever. Part-time agents cannot keep up on market changes and inventory, nor have the skill, expertise, experience, and systems to keep up with contract changes that can place your escrow deposit in harm’s way. We suggest you take a hard look at the agent you’re going to work with and ask questions about their knowledge of these contract changes and what systems they have in place. Keep in mind, ultimately, it’s your responsibility. You’re the buyer. It’s your money. You could lose the house and/or your escrow deposit by failing to timely communicate the process of your loan. This may affect buyers in other ways too. Let’s say a seller finds a buyer willing to pay more for the home. The seller does not have to extend the financing clause if the buyer cannot obtain in the specified days. If the seller has received no notification at all, the seller can cancel the contract within a 3-day window period after the buyer’s Loan Approval period has expired. The seller seems to have picked up some rights and the buyer now has more responsibility to notify the seller about the loan process. This places more responsibility on the lender you choose because now timelines are more important than ever. Our team works with several lenders. We work with lenders who not only offer great rates but also are known for service and meeting timeline commitments. Interviewing lenders and evaluating their performance reputation will now be more important than ever. Each buyer’s situation is different. Talk with a lender who has experience with the type of loan you’re going for and a track record of working with buyers with similar income and circumstances as yours. Call us 239-489-4042 and let’s talk. 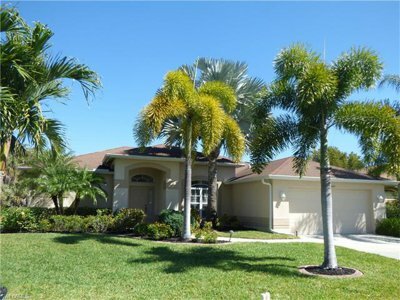 Posted in Cape Coral, Cape Coral Real Estate, Fort Myers Beach, Fort Myers Real Estate, Open House, Reflection Lakes, Southwest Florida Real Estate. 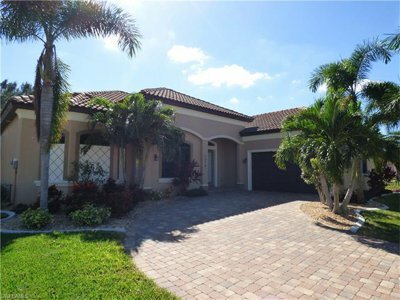 SW Florida real estate agents were expecting big numbers this real estate season, and so far, we’ve seen SW Florida home sales flat this season. The real key going forward will be March and April numbers when they are released over the next two months. We have a crystal ball that tells us how sales numbers might come in. Pending listings leads to closed sales. While not all pending sales close, we can generally track future closings by the level of pendings. Pending inventory is down 5%, so it’s logical to believe that we won’t see a major increase in future closings unless many more homes go pending at the end of March. 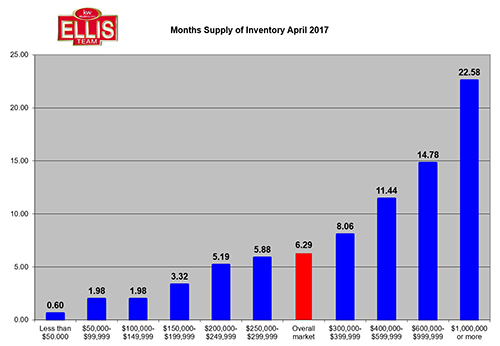 Inventory levels have risen 6.1% from last year and month’s supply of inventory has risen 11.1% While SW Florida is a large and diverse market, overall this tells us the market has cooled a bit as inventory is growing with fewer pending home sales. We can’t judge a book by its cover. The cover may say we have a healthy, slightly cooling market, and that’s OK. This book however has many chapters, and each chapter tells a different story. Collectively all the chapters combined give us the overall figures. Homes priced below $300,000 are on fire, and even many homes priced higher are receiving multiple offers. We have a good market and demand from buyers. Prices have risen steadily in recent years and there is a cap to this. 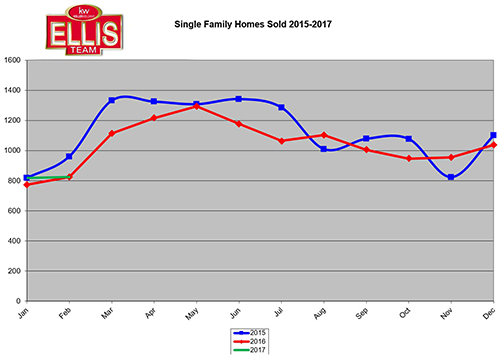 Home sellers many times price ahead of the market. In a rising market, each new seller prices just higher than the last sold and it seems to work, until one day it doesn’t. This tells us either the market is taking a pause, or the market has capped relative to the income typical buyers have to qualify for that bracket of home. Rising rates also influence home affordability and can cap prices. We’ve seen a few rate hikes by the Fed with more coming. On balance, we have a healthy market and I like where we’re sitting. As in any market, it’s imperative to price your home where the buyers are. In a shifting market advertising and marketing plays a larger role as well. Full market exposure brings the highest possible price, so don’t settle for inexpensive or non-existent advertising. If the agent you interview tells you advertising doesn’t sell homes, it’s probably because they don’t advertise homes much. Perhaps they prefer to advertise their public image, or perhaps they just don’t have the budget to market listings. In any event, it pays to interview agents that do advertise so you get full market exposure. We’d be happy to sit down with you and cover all the ways we advertise homes. You’d probably be surprised at the difference, and this might explain why certain agent’s homes sell faster and for more money than others. If you’re a buyer, we can help too. Our market knowledge and monthly market statistics help you make the best decision possible. When competing in multiple offer situations you need an agent that knows how to help your offer compete. If the chapter you’re looking in happens to be a cooling market, you don’t need to stretch too much and overpay. Let a seasoned professional from the Ellis Team help you. You can search the MLS like a pro. Our database is updated every 5 minutes and contains the latest listings, price changes, and information you need to compete. If you’re a seller, you should check it out too. Always Call the Ellis Team at 239-489-4042 and ask how we can make your dreams become reality. It pays to work with professionals that know the market. If you think working with a professional is expensive, just wait until you hire an amateur.